My Hack Week project is progressing. Qt Dev Days have finished. I presented Inqlude there and got lots of good feedback. I even won a prize for my lightning talk. Thanks a lot for that. I got a lot of input on which libraries were still missing and have a pretty long list to process now. The patches I got on GitHub I have already merged. Tomorrow I intend to go through the rest of the list and add the missing data. This should get us a lot closer to the goal of having all Qt-based libraries listed in one place. One question came up a few times. Do we also want to list proprietary libraries, which are not available under a free software license? The answer is: Yes, we do want to also list proprietary libraries. We already are collecting the license information for all libraries, so this would be just another entry in the license field. Inqlude is meant to be an open system. The goal is to have all libraries listed in one place, which are part of the Qt ecosystem and can be useful for application developers. So it's consequent to list all libraries there, independent of if their source code is available, or if there is a commercial model behind them. We will show the license data and add a separate section on the web site, so that people can easily find what they are looking for according to their preferences in terms of licenses. I'm looking forward to the next two days of Hack Week. This is a fun project, and it looks like we can reach a state where it actually will be useful for quite a number of people. I have set myself an audacious goal for the tenth SUSE Hack Week: Create a complete collection of all Qt-based libraries which exist. There are many places where you can find Qt-based libraries. Qt itself already comes with a number of modules. KDE has created a rich set of libraries with additional functionality on top of that, and you can find a lot of other third party libraries on sites like Gitorious, GitHub, Google Code, and more. Now getting an overview and access to all the Qt library goodness, which is out there, is not particularly easy. To solve that we started Inqlude as a project to create an archive of all available Qt libraries back then at one of the Randa meetings. I worked on it some more at Hack Week 7, and continued to spend a little bit of time here and there. We have reached a state now, where it starts to become useful, and so I thought Hack Week 10 is a great opportunity to fill in the missing bits and pieces, and make it ready for prime time. We have the web site and a documented format for library meta data. We also have tooling to process the meta data, e.g. for updating the data on new releases or to retrieve packages of libraries for installation. The web site also gets generated with these tools. One thing which is lacking a bit, is the packaging of libraries, and the integration of the tools with the native package management systems on various platforms. With the help of the Open Build Service the packaging part should be solvable. For the integration on different platforms help of users of these platforms would be greatly appreciated. There is some support for openSUSE, but for other Linux flavors, or non-Linux systems, there is still some work to do. The other thing is the coverage of the archive. It already has quite a list of libraries, but there are more out there, and I really would like to see it to be as complete as possible. All libraries, which reasonably can be considered useful to developers using Qt, should be on Inqlude. So I'm looking for third party Qt libraries now. I'll be on the Qt Dev Days in Berlin the next two days, and hope that I can use this opportunity to get some more input and pointers to libraries, we haven't covered yet. If you are there as well and have hints, please talk to me. I'll also give a lightning talk about the current state of Inqlude, so you can learn about where we are first hand. So this is my project for Hack Week 10. 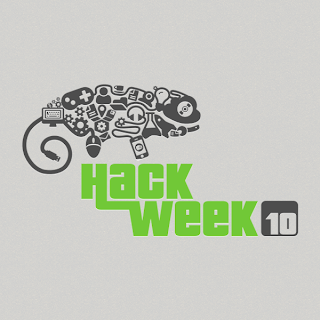 You'll find some more details and updates on the progress on the Hack Week project page. If you want to join the project, don't hesitate to add yourself there and contact me]. We'll use the inqlude mailing list to coordinate work as needed. We all know that Qt is great, but we also know that it can't possibly cover all use cases. Fortunately there are plenty of third party libraries based on Qt, which fill a lot of gaps, so you don't have to develop everything yourself. Finding these third party Qt libraries can be a challenge, though. To address this we started a project to create a curated archive of all relevant Qt-based libraries some time ago (you may want to think of that as CPAN for Qt). We have reached a state now, where the necessary infrastructure is there, and it's starting to become useful for production use. You can find the web site at inqlude.org. To make this information more complete, I would like to give this a focused push now. My goal is to get all relevant Qt-based libraries listed by end of the week. So I'm looking for 3rd party Qt libraries. Are you releasing a Qt-based library? Do you know of libraries, which aren't listed yet? If you do, please get in contact with me and let me know what's still missing. You can also create patches for the meta data, which the web site is based on. You'll find instructions on the web site. If you want to get involved with the project you can also subscribe to our mailing list inqlude@kde.org. Inqlude is meant to be open to allow everybody to participate on the same level. The infrastructure is free software. It's run by the KDE community, but we intend to cover the full Qt spectrum. Let's make this a place, where Qt developers can easily find and get access to the full power of the Qt ecosystem. If you have any comments or suggestions, don't hesitate to contact me.